For Engineers and Developers - we can evaluate your project to determine how much storage volume you would save by using the Extention Basin. 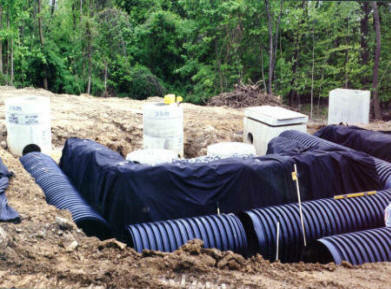 You need to have available for us the design parameters of your currently proposed Stormwater Management System. Most of the evaluations are free to our clients. However, large projects may require consultation. If you are interested in this cost saving solution, please make arrangements to e-mail data by calling our Toll Free number. Call 914 271 4762 for Extention Basin Systems, Inc.